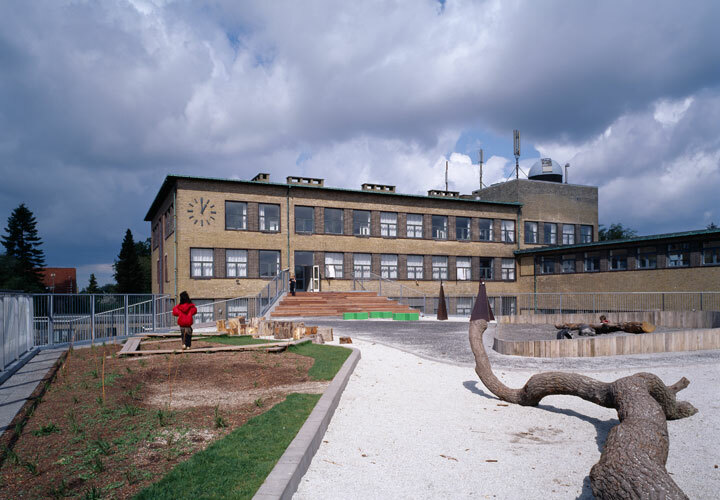 Gentofte Municipality’s extensive school development project SKUB included the extension and refurbishment of the Bakkegaards School, which is one of the five CEBRA projects that were part of the initiative. 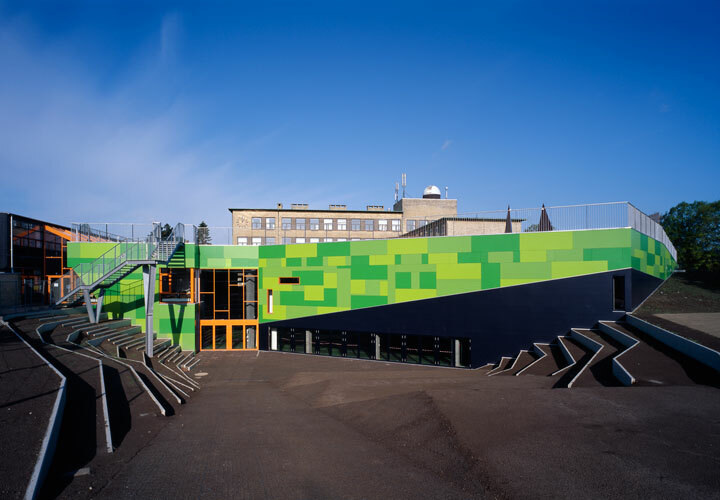 The project consists of a modernisation of an older primary school, which – like many others – was developed and extended over time. 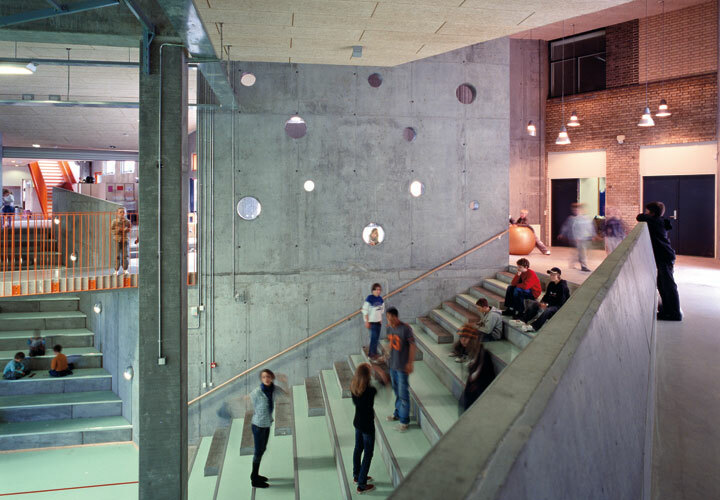 The existing school can best be described as an exploded school, characterised by an incoherent building structure consisting of varied buildings, each with their own specific content. 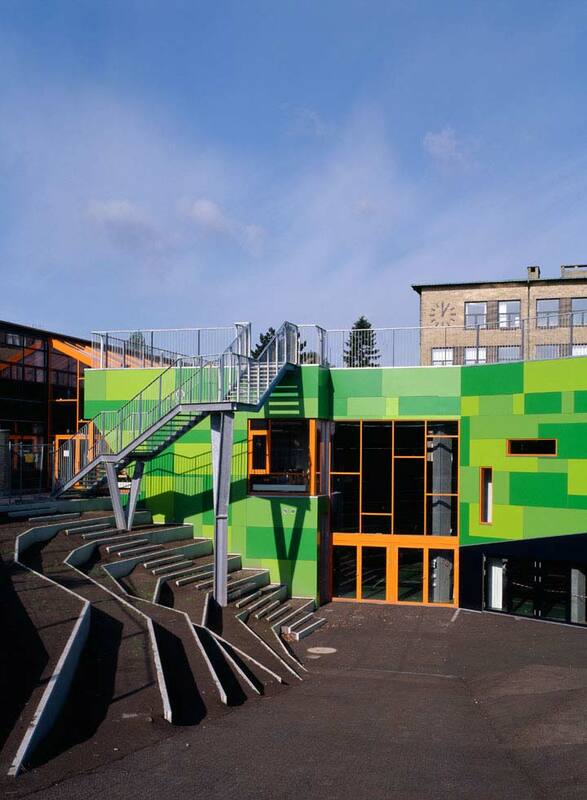 By creating a kind of star-shaped octopus or ‘super enzyme’ in the middle of the existing school yard, we interconnected all areas to consolidate the different functions. 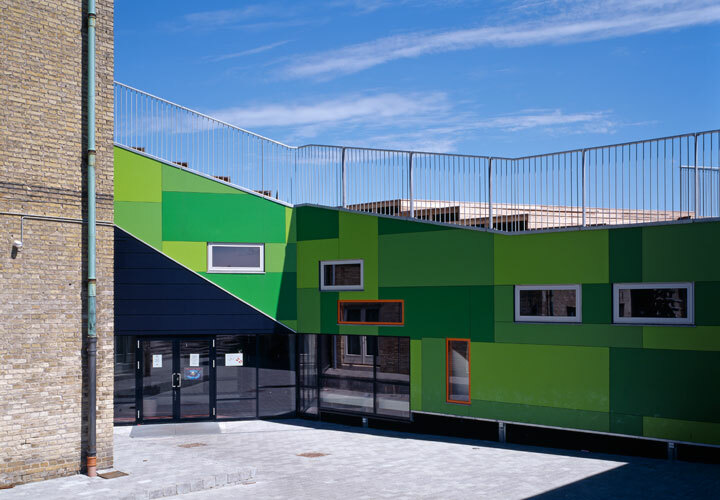 By removing the original school yard, we designed the roof of this adjoining extension to be an activating roof landscape and green playground. 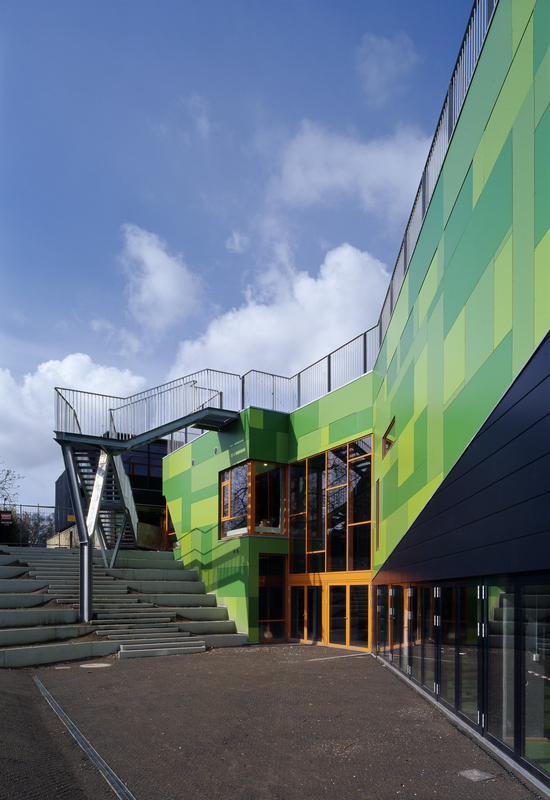 This allowed us to maintain the size of the outdoor facilities, even though we added a new building mass within an unaltered footprint. 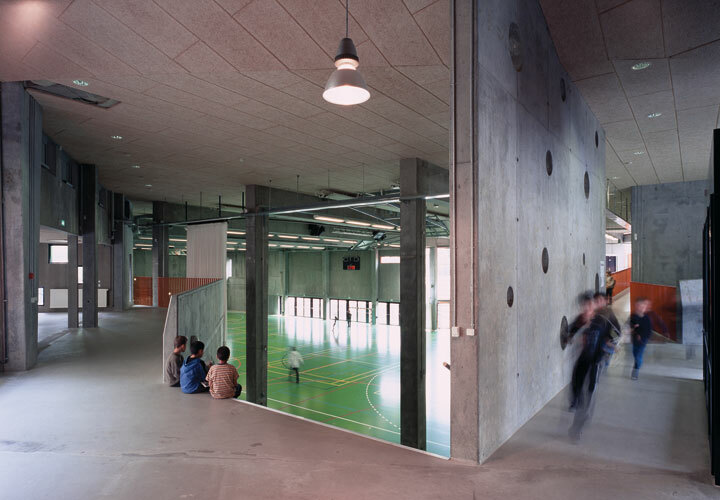 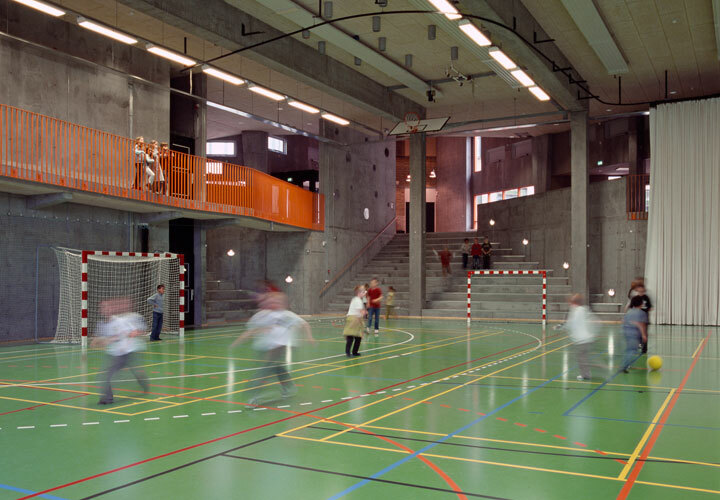 The sports hall is placed under the raised school yard around which all the art subjects are grouped. 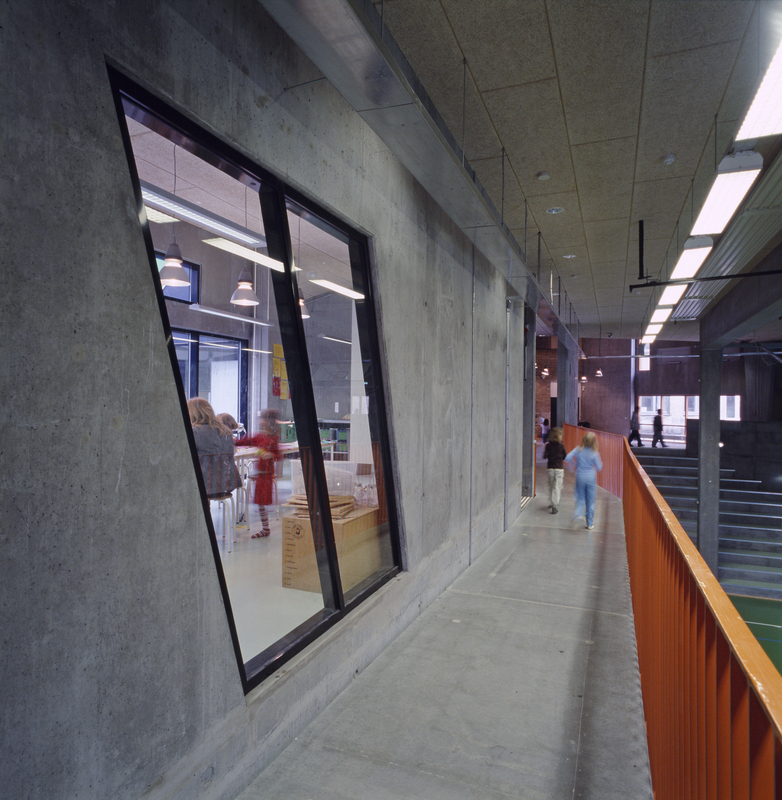 From this, a large central common area emerged between the existing buildings. 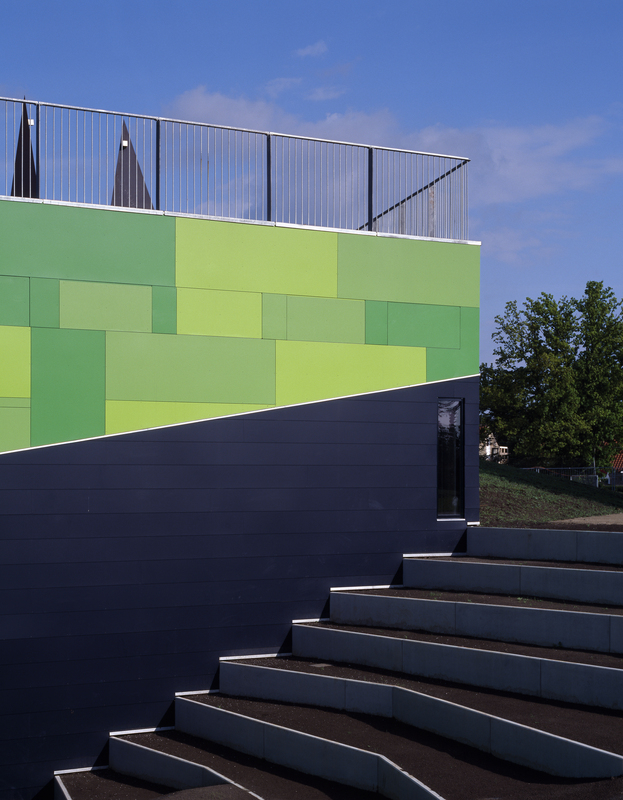 The project weaves together the school buildings, the school grounds and the surrounding landscape, thereby creating a series of new gathering points and communities across different age groups and across external users, schoolchildren, parents and teachers.